Yacht Charter Bodrum – The seaside city of Bodrum itself is a jewel from the treasures of the Aegean sea. Boasting with a rich nightlife, culture, and history, Bodrum offers travelers much to see and do in and around the region. Bodrum has also favored yachting region as its so close the Greek islands. Mirya Yachting offers a wide selection of luxury yachts to hire for your blue cruise holidays. From high-end luxury to budget-friendly. View our selection and ask for a custom quotation. For many decades, Bodrum has been the prime manufacturing capital of Turkish gulets – handcrafted wooden sailing yachts that sail the deep blue seas, all the way to the many ancient Greek Islands that neighbor the Turkish waters. Since the inception of gullets, Bodrum and the well-known shipyards have expanded their manufacturing knowledge to the point of world recognition in building the finest sailing yachts in the world. Another prime feature of Bodrum is the annual Bodrum Cup. This is a journey of sails galore. The uniqueness comes from the fact that only gulets and similar sailing yachts of all sizes can participate to win the Bodrum Cup in this gulet regatta. After a short 40 minute drive from the Milas airport, travelers can reach the harbor to embark on their yacht Bodrum holidays. 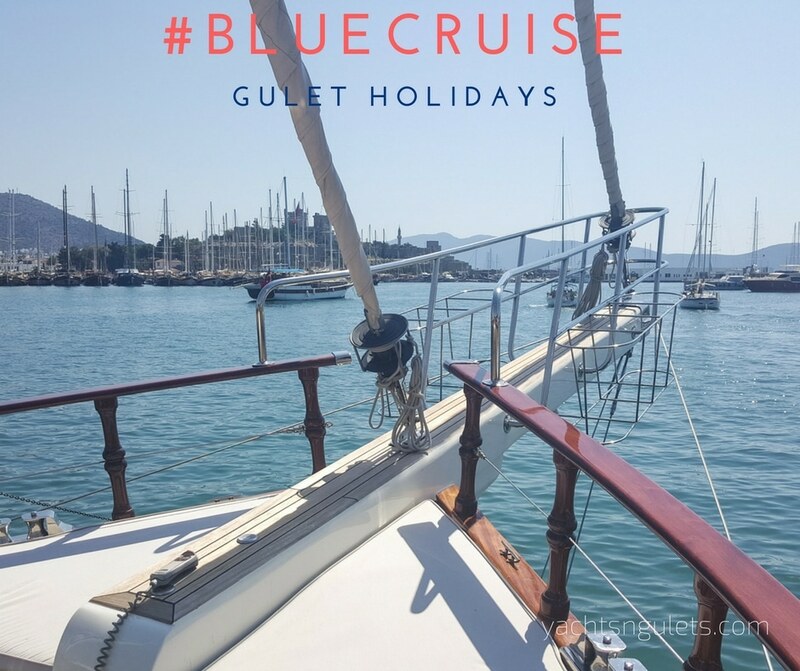 Due to Bodrum’s close proximity to the Greek Islands in the Dodecanese and Cyclades, many holidaymakers choose to begin their blue cruise travels from the Bodrum harbor. Islands such as Rhodes, Symi, and Kos are ideal visits on boat holidays from Bodrum. Alternatively, a Bodrum yacht charter to the Gulf of Gokova is a very popular choice as well. Should prefer to stay in Turkish waters and enjoy the Aegean of Turkey, itineraries that lead in this direction all the way to Marmaris or Fethiye are superb choices for your Bodrum travels. When you decide on starting your Bodrum holidays, you will most likely spend one night in the harbor, get to your yacht and the crew, maybe go over your itinerary with your captain, and relax. A stroll around the harbor might also be a nice way to begin your yacht charter holidays – since the following day after breakfast, your blue cruise journey will begin.